The Smart Electric Drive model, launched last year, is far nicer to drive than the regular ForTwo, and leases for just $139 a month; its per-mile running costs are far lower than gasoline's too. The 2014 Smart ForTwo is now an old design, but it remains the easiest car to park in cities, and it's at its best in urban traffic; the electric model, new last year, is the nicest of the bunch, and now remarkably cheap. The 2014 Smart ForTwo minicar is now a very old vehicle, with a design dating back to the 1990s. 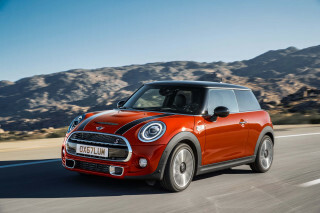 It's due for replacement, probably in the 2016 model year, with an all-new design that retains the rear-mounted engine between the rear wheels, but should otherwise bring the littlest car sold in the U.S. into the current decade and give buyers the same conveniences, features, and cabin quality as other small cars. Until then, the current version soldiers on, providing bare-bones transportation to buyers for whom the shortest possible length trumps all other considerations. It's small, but it's also outdated and crude, and its gasoline powertrain is just as lurchy and unpleasant to drive as it was in 2008 when the car first launched in the U.S. The all-electric version introduced last year is far more pleasant, though still primitive inside--and considerably pricier than the conventional Smart, though remarkably good lease deals can cut the cost for some buyers to about $200 a month. The ForTwo remains the shortest, least powerful car you can buy in the U.S. Here, the niche for two-seat cars less than 10 feet long is very small, and there aren't a lot of competitors. Its iconic design highlights the 'Tridion' safety cage around the passengers in a different color. External changes over seven years are limited to updated front and rear bumper shields, door sill moldings, and the brand's logo, which moved from the hood to the grille last year. Smarts attract attention wherever they go, even on the streets of New York City and San Francisco, simply because they're so tiny--just 8 feet and 10 inches long. The Coupe version is the least expensive model; there's also a Cabrio version with a powered cloth roof that rolls back on rails above the doors, similar to that of the Fiat 500c Cabrio. Inside the Smart, it doesn't feel as small as it actually is. The two seats will hold adults more than six feet tall comfortably, with ample headroom and legroom. There's only minimal storage space behind the seats, however, because the engine sits essentially under the high load-deck floor, just behind the passengers' backsides. Inside, the instrument panel was updated for 2011, taking the car's interior from spartan to plain. The matte trim sets off hard textured plastics, though the higher trim level at least looks modern if simple. New fabrics were introduced in 2012, along with standard net pockets on the seats. The seating position is high, so occupants don't feel low to the ground, and outward visibility is good. It's only when reversing that it becomes obvious the car ends less than two feet behind the driver's shoulders. In urban traffic, it takes a while to get used to just how short the Smart really is--but once a driver learns the limits of the car's bodywork, it can be maneuvered and parked like no other vehicle. No other vehicle, at any rate, except perhaps the Scion iQ--which is almost as short as the Smart, but offers more modern conveniences (along with a part-time third seat and a vestigial fourth position for a small child). The Scion is almost $3,000 more expensive than the aging Smart, and its clever design does offer more interior room, but both cars essentially fall into the same very-very-very-small-city-car category--and each sells only about 10,000 copies a year. 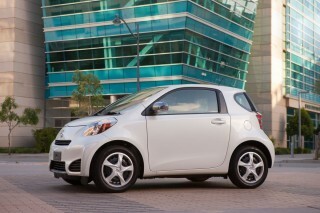 Starting in 2013, the Smart was offered with two powertrains: gasoline or battery electric. The 70-horsepower, 1.0-liter three-cylinder gasoline engine is mated to an automated manual gearbox in the non-electric models, and the combination is one of our least favorite powertrains. It takes a lot of training for drivers to learn when to lift on and off the accelerator to avoid jerky, slamming shifts and a lot of pitching back and forth on the ForTwo's extremely short wheelbase. The gasoline Smarts do fine in 0-to-30-mph city traffic, but they aren't much good above 50 mph, losing steam and taking a very long time to get to freeway speeds. It's capable of sustained 75-mph speeds, but you've got to be patient. Handling around town is fun; the manual steering provides good feedback, and experienced drivers will zip around tight corners and make quick U-turns with ease. The brakes are more than adequate, and of course, parking in unparalleled.. On the highway, the ForTwo is noisy, its ride is nervous and hard, and it requires intestinal fortitude to travel at freeway speeds between two semis in a Smart. Ask anyone what kind of gas mileage a gasoline Smart gets, and people assume wild efficiencies: 60 mpg or 75 mpg. 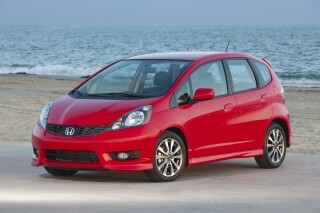 Not even close; its combined EPA rating is 36 mpg, or far below any Toyota Prius hybrid. The other obvious issue is safety, and the Smart has four airbags and decent--though far from top-of-the-heap--crash-test ratings, along with the usual suite of electronic safety systems. The Smart Electric Drive, actually a third-generation powertrain introduced for 2013, is really the car the Smart should have been all along. The electric motor dispenses with a transmission, removing the annoying automated shifting, and the electric motor delivers smooth power in a far quieter, less raucous way than the gasoline engine. You'll have to accelerate hard to make the electric Smart perform--it has one of the stiffest accelerator pedals we've experienced--not to mention that you'll need a place to recharge its 17.6-kilowatt-hour lithium-ion battery. But its performance is decent, again best in 0-to-30-mph city driving, and its electric range of 68 miles makes it a very practical city car and much nicer to experience than the gasoline Smart. The limited-edition Smart Fortwo Electric Drive, which weighs several hundred pounds more and has a somewhat different weight distribution than other Fortwo versions, earns four stars overall, with four stars for frontal impact and four stars for side impact in the federal test; but the federal government isn't extending those results to the gasoline Smart models. The Insurance Institute for Highway Safety (IIHS) has given the Fortwo family 'good' scores for frontal, side, and roof strength protection, but it earns 'acceptable' in rear impact and hasn't been tested in the tougher new small overlap frontal test. The Smart ForTwo Pure entry-level gasoline model starts below $13,000, and for 2014, Smart has made air conditioning standard on even the entry-level Pure model. It also added standard floormats on both Pure and the higher Passion trim level. Cruise control and even a basic "Entryline" radio remain options, along with niceties like ambient lighting. Then there's the high-end Passion model, which adds a radio with USB port, cruise control, aluminum wheels, a sport steering wheel, power windows and mirrors, automatic headlights, rain-sensing wipers, and a panoramic glass roof for the Coupe model. Throw in any of the many personalization options from your dealer, which now include appearance features from the discontinued Brabus sporty model, and you can reach $20,000. The Smart Electric Drive is $25,000 with a much higher level of standard equipment (though not cruise control). The electric Smart is the least expensive plug-in electric car offered in the U.S., and it's offered with the company's Battery Assurance Plus program, which effectively leases the battery--whether the car itself is bought or leased. At a newly reduced monthly lease price of just $139 for lessees who opt into Battery Assurance (almost everyone does), it's a very low monthly payment on top of the much lower cost-per-mile of driving on grid electricity rather than gasoline. As the current model winds down its life, Smart is offering various limited editions, both nationally and "crowd-sourced" local editions. During 2013, there were three--the Fuzz, CityFlame, and Cocoa editions, all with 300 or less offered--and starting in September 2013, there will be two new ones: the BoConcept edition, in partnership with the Scandinavian modern-design store, and the first electric limited edition, created by designer Jeremy Scott. The Smart's sole advantage is its tiny length, which in crowded cities like New York or San Francisco will let owners park it where no other vehicle can. For a handful of buyers, that's justification enough. 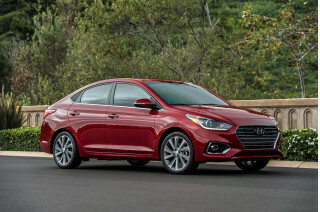 For everyone else, you can get more modern, more capacious subcompact or compact cars with more features and equal or better fuel efficiency for roughly the same price as a nicely-equipped Smart. The 2014 Smart ForTwo is distinctive as well as tiny, with its outlined safety cage, but the interior is Spartan. The 2014 Smart ForTwo remains the same car it's been since its 2008 launch--and in Europe for almost a decade before that--a short, cute two-seater that appears tall, slab-sided, and almost as wide as it is long. And in fact, its 9-foot length makes it the shortest car sold new in the U.S. today. The length, or lack of it, is most obvious from the side, when the car's all-but-nonexistent nose comes into relief--viewed at an angle, the sloping front hood appears longer than it actually is. The body structure is outlined by the "Tridion" safety cell, which may be highlighted in silver, green, or other colors. The purpose of the contrast is to underline the car's strong structure, from the windshield post along the roof side, down the rear pillar and wrapping around under the door. It's an effective design flourish, and identifies the car instantly as a Smart--not that its size wouldn't. Two body styles are offered: the fixed-roof Coupe, and a Cabrio with a power cloth roof that offers open-top driving while retaining the structural strength of a crossbar between the rear pillars. Two removable roof side bars stow neatly in a tailgate compartment, meaning that when the windows are rolled down, there's more wind-in-the-hair feeling than in, say, the Fiat 500c Cabrio with its fixed side rails. The dashboard has been upgraded more than once, though the base Pure model is still plain and severe. Over the years, matte metallic finished, new shapes for trim elements, and an upgraded steering wheel don't really mask the late Nineties basic urban-car design. It's not hideous, just very, very Spartan--even when fitted with niceties like a small navigation system. A dollop of style can be added by appearance features from the Brabus line of accessories, including larger alloy 15-inch alloy wheels. Or buyers can opt for the Style package option, which bundles together body panels in a choice of metallic colors, six-spoke alloy wheels, and fog lamps. Beyond that, two limited editions are on offer for 2014: The electric Smart ForJeremy, by designer Jeremy Scott, features a small pair of angel wings, and 180 models of the BoConcept edition--from the Scandinavian design store--will be issued, along with two special editions to be locally created via crowdsourced voting. Any 2014 Smart ForTwo is zippy around town; while the gasoline model can be unpleasant, the pricier Electric Drive is smooth and quiet. The 2014 Smart ForTwo comes in two distinct personalities: gasoline and electric. Sadly, the electric model--which arrived last year--is what the Smart always should have been, but it's almost twice the price of the base gasoline version. The gasoline Smart ForTwo is powered by a 70-horsepower 1.0-liter three cylinder engine, mounted flat between the rear wheels, and powering them through an automated manual transmission with five speeds. The transmission is the least pleasant one we've driven, shifting abruptly and slamming the car back and forth as it decouples power and then clutches it back. It takes an experienced foot modulating the accelerator to keep the car civilized in cut-and-thrust urban traffic. And that's where the ForTwo is at its best. It's easy to toss around town--not to mention park in the tiniest imaginable spaces. At speeds below 40 mph, the engine feels peppy and the shifting--if you can modulate it--keeps the engine in its power zone. Without an engine between the front wheels, the turning circle is tight, and light steering lets you hustle the Smart around corners and among lanes almost as fast as any other vehicle. Switch to the Smart ForTwo Electric Drive, however, and the experience gets much better. With 55 kilowatts (74 hp) of peak power available from the electric motor, or 35 kW (47 hp) on a sustained basis--and no transmission at all--the electric Smart accelerates smoothly and quietly up to speed, with no engine howl or slam-shifting. In the stoplight drag races, it performs decently, taking less than 5 seconds from 0 to 37 mph. And with an EPA-rated range of 68 miles combined, it will do a day's errands in the city handily. The electric car is a few hundred pounds heavier than the gasoline version, but the battery is in the floorpan, so the handling is more planted--if a bit more ponderous. While all electric Smarts come with electric power steering as standard, you'd barely know it--the ForTwo Electric Drive steers heavy. Outside the city, though, the Smart gets grimmer with either powertrain. The 0-to-60-mph sprint takes an agonizing 13 seconds in the gasoline car (11.5 seconds in the electric)--which is equivalent to 1980s economy cars. On the highway, its short length, minimal wheelbase, and quick steering make the ride choppy and twitchy. There's very little power on reserve for sudden maneuvers, and it's surprisingly susceptible to crosswinds, road grooves, and potholes at speed. Finally, it will take nerves of steel to pilot a Smart on the highway when sandwiched between semis. In the end, tiny dimensions--or that ineffable Smart character--have to be more important to you than speed, ride comfort, or gas mileage. If you value all of those things and want a balance among the, you may find the Smart ForTwo isn't worth the sacrifices you have to make. The 2014 Smart ForTwo is basic inside, offers minimal amenities, and is loud and uncomfortable at speed. While the Smart ForTwo's interior has been upgraded a few times, it remains basic, stark, and plain inside. There's plenty of room for two adults, with ample headroom and lots of legroom even for those over 6 feet. The cabin isn't all that wide, though, meaning that two broad-shouldered people may find that they touch. The seats are somewhat short, but drive and passenger sit upright and relatively high--on top of a hollow two-layer floor that holds a gas tank in the gasoline version and a lithium-ion battery in the electric Smart. The seat height contributes to a feeling of confidence while driving the shortest car on sale. But the steering wheel is more horizontal--bus-like--than in other small cars. Behind the seats, there's minimal cargo space, since the engine or electric motor sits underneath the load floor. You might fit three shopping bags, but if you're traveling, use small soft luggage. A folding passenger seat is available, to increase storage space, but it's an extra-cost option. In town, the gasoline car's jerky transmission pitches the Smart back and forth. The engine howls at higher speeds, and lots of road noise is transmitted into the cabin. The weak sound system isn't able to drown out much of the noise. The electric car is considerably quieter, with only some whine from the power electronics--but it too suffers from road noise at speed. Altogether, driving a Smart can be considered the automotive equivalent of skateboarding in traffic: It's nimble and close to the action, but it's also loud and sometimes scary. It's the opposite of refinement. The 2014 Smart ForTwo gets decent safety ratings--but the laws of physics are immutable. The 2014 Smart ForTwo may be the smallest car sold in the U.S., but it may have the highest airbag-to-occupant ratio: eight airbags for two people. Despite its diminutive size, it does all right in safety ratings. Smart says its "Tridion" safety-cell construction offers occupant protection equivalent to that of larger vehicles. That may be, but the Smart is now one of the older designs on the road, and crash safety standards have improved greatly since it was launched in Europe 15 years ago. The Insurance Institute for Highway Safety (IIHS) gives the Smart its top "Good" rating in three out of four categories: frontal moderate offset, side impact, and roof strength test results, though the protection for head restraints and seats loses one notch and is rated "Acceptable." The IIHS hasn't rated the Smart on its new, tougher Small-Overlap Front Crash test. The laws of physics are the laws of physics, however. The IIHS set up a frontal-offset crash between a Smart ForTwo and a larger, heavier Mercedes-Benz E-Class. Mass and momentum being what they are, the Smart's occupants didn't fare particularly well. Oddly, however, the Smart ForTwo Electric Drive model--with its battery pack in the floor and the gasoline engine replaced by an electric motor--has been rated by the NHTSA for the 2013 model year. It gets four stars out of five for Overall, Moderate-Overlap Front Crash, and Rollover safety, and five stars for Side crash. Outward visibility in the Smart is excellent, and of course it's so small, it practically parks itself. The ForTwo also includes the usual suite of electronic safety systems, including electronic stability control and traction control. But how safe the driver and passenger will feel in it at speeds above those traveled in the city is a personal decision. The 2014 Smart ForTwo ranges from grindingly plain to sporadically equipped, though lots of customization is available. 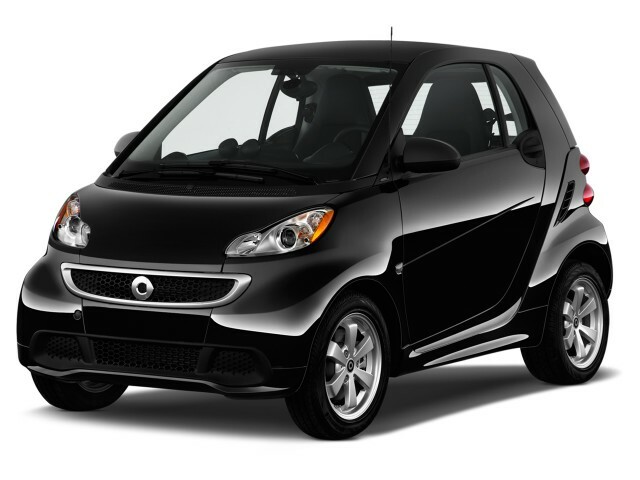 The 2014 Smart ForTwo remains quirky, distinctive, and stylish--and now there's a battery electric model to boot. Still, the car's hip persona can't hide its spartan interior and the lack of a few features found on even the most basic subcompact sedans. Think of it as an early-Nineties economy car, or perhaps a base-model pickup truck, and you'll have the context for its mediocre sound system and plain-Jane interior. While the interior has been upgraded a couple of times, the Smart's standard equipment has remained remarkably constant since 2008. When a lockable glovebox is a notable addition, you know you're dealing with a basic car. One notable addition has been integrated Bluetooth hands-free connectivity, navigation, and Internet radio. To take advantage of it, though, you'll have to buy a special cradle, to be installed by the dealer, just to hold your smartphone--which provides the processing power and apps to fill the gap. The base model Smart ForTwo is dubbed the Pure, and the higher trim level is known as Passion. 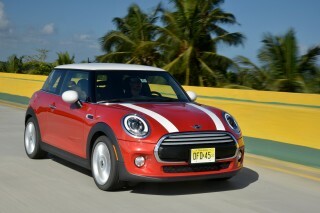 The soft-top Cabriolet comes only as a Passion model. 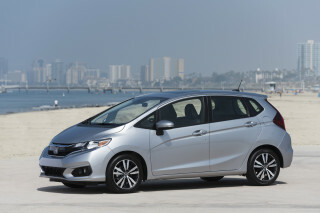 The Pure level includes keyless entry and a rear-window defroster. That's about it. No, there's no sound system at all--and the windows wind up by hand. Which is why we expect most buyers will opt for the Passion trim. The Passion model adds alloy wheels--much better looking than the steel wheels on the Pure--along with power windows, automatic climate control, an AM/FM/CD sound system, and a panoramic roof. The sound system doesn't have enough oomph to overcome road noise at speed, but at least you can hear something. As for options, there's a premium sound system that can be added to the Passion Coupe, with four speakers and a subwoofer, though it comes standard on Passion Cabrio models. Electric power steering is an option on certain models, standard on others, though it doesn't provide that much assist and could well be considered unnecessary. Then you can add cruise control, air conditioning, automatic lights and wipers, power seats, and fog lamps. Power locks? Power mirrors? Not available. 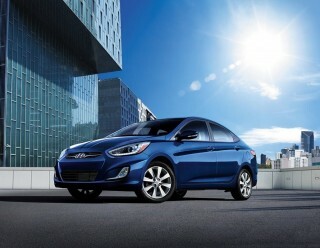 The Electric Drive--in either coupe or cabrio form--is effectively a Passion model with a few additional features. Those include standard electric power steering and an onboard trip computer to give you vehicle operating information and the all-important remaining range calculation. One final option for Smarts is custom body wraps, which allow owners to select graphics, patterns, or anything else they relish and have their custom design transferred onto specially shaped vinyl sheets that cover the car's body panels. Dealers appear happy to take the money of buyers who've always wanted a zebra-striped car. Or a car with a photo of their dear departed pet. You get the idea. We're just trying to ignore it. The 2014 Smart ForTwo is rated at 36 mpg, only slightly higher than larger four-seat cars; the electric model is very efficient. Talk to onlookers, and they presume that the 2014 Smart ForTwo gets 60 or 70 miles per gallon because it's so small. Or they think it must be "one of those little electric cars, right?" Half-right, anyway. The EPA gives both gasoline ForTwo models (the coupe and cabrio) a combined rating of 36 miles per gallon (34 mpg city, 38 mpg highway). That's less than almost every Toyota hybrid, and roughly equal to a number of subcompact cars with twice the seats, many more features, and much more power in reserve--at roughly the same price as a decently-equipped Smart. One kicker is that the little 70-horsepower 1.0-liter three-cylinder engine in the Smart is recommended to use premium fuel. That means each gallon costs 20 or 30 cents more, which may add up over the course of a year. The Smart Electric Drive models introduced last year, however, are about as green as you can get. With an EPA-rated range of 68 miles combined, the electric Smart is no Tesla Model S. But it's a far more pleasant urban runabout than the gasoline model if you have a place to charge it. 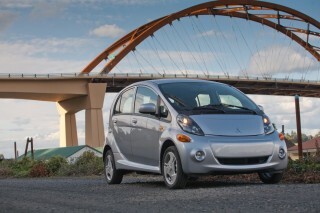 And its electric efficiency is rated at 107 MPGe, or miles-per-gallon-equivalent. That measures how far the car can travel electrically on the same amount of energy that's contained in 1 gallon gasoline. Its 107-MPGe rating puts it in the top third of all plug-in electric cars sold in the U.S.